Finance and taxation are inherently intertwined. Investors look for the best returns after-tax, which is why wealthy Americans invest disproportionately more in real estate and municipal bonds (which are rallying since Obama’s win), which provide valuable deductions and tax free federal income taxes respectively. The IRS has rules to prevent investors from taking tax losses without changing a portfolio. Thanks to the wash sale rule, investors cannot take capital losses if they sell and then repurchase the same or very similar security within 30 days. Whereas the IRS is strict about when you can choose to take a loss, it doesn’t care when you take a gain. I think its quite clear now that capital gains taxes will only go up in 2013. The political forces at play certainly won’t allow for lower capital gains taxes. Luckily, the wash sale rule does not apply to strategic selling before a capital gains tax increase in 2013. 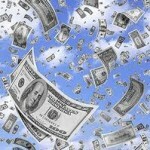 Lock in any capital gains that you have in 2012 in a taxable account. Locking in gains today ensures that your taxes due on your gains will be taxed at the current rates. That gives you some visibility as to how much you’ll owe for gains taken today in a world where 2013 capital gains rates are completely up in the air. Repurchase any securities you wish to keep. Again, there is no rule that prevents an investor from locking in gains in 2012 and repurchasing those shares immediately after the first sale. Investors who sell a stock right now and immediately repurchase the shares on the market open a new position with a new cost basis. Sold shares are taxed at the 2012 capital gains rate. Repurchased shares will be taxed at 2013 capital gains rates, supposing that you hold your securities through the new year. In a world where cost is everything, churning a portfolio can be a disaster for returns after taxes and fees. However, when tax rates are set to rise, as they likely are, the small commission costs to buy and repurchase shares is negligible relative to the potential tax savings. On a $10,000 capital gain, one would only need a .16% increase in capital gains taxes to cover a round-trip order to sell and then repurchase a particular stock at $8 a trade. Investors who make more than $250,000 ($200,000 for singles) are obviously in the crowd of people who should start churning their portfolios before 2013. President Obama’s health care law (the same one that is pushing up the cost of health care premiums in 2013) will also add a 3.4% surcharge to long term capital gains tax rates. If you’re holding $500,000 in capital gains in a taxable account from years of long-term investing, and make more than $200,000 as an individual or $250,000 as a household, taking those capital gains in 2012 will give you a 15% tax rate against what will soon be a minimum tax level on capital gains of 18.4%. That assumes that any deal to avoid a fiscal cliff will not bring about even higher capital gains rates. Investors who are in for the long haul can justify turnover better than anyone. If you’re a long-term investor holding stocks in a taxable account, now is the time to start taking profits at lower capital gains rates. Odds-on, the small investment in commissions might offer the best ROI of any in the form of lower capital gains rate. It’s better to give your broker $100 in commissions than the government $1,000s in unnecessary taxes. Next post: How Much Can You Make Garbage-Picking in Suburbia?